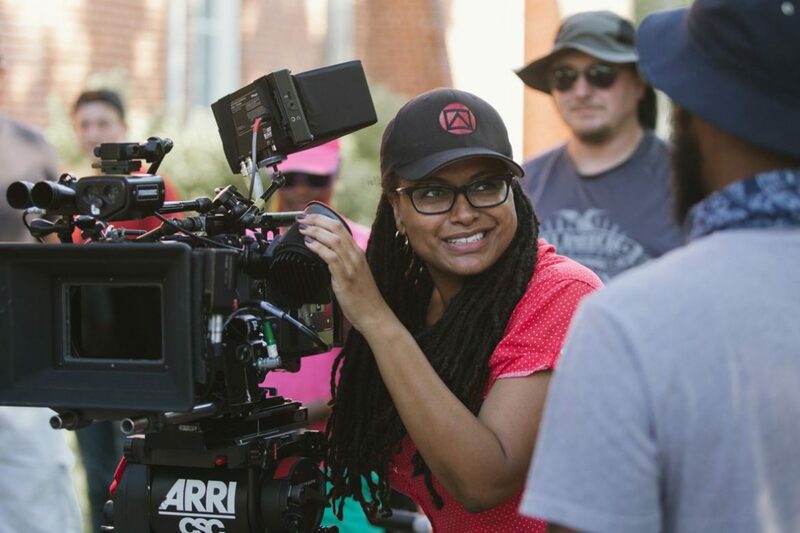 “This is for anyone who’s young at heart!” filmmaker Ava DuVernay shouted over the microphone as the lights went down. Then she walked offstage and headed to the back of the Walter Reade Theatre at the Film Society of Lincoln Center. On March 6, four members of the FF2 Media team had the chance to watch a private screening of A Wrinkle in Time directed by DuVernay and written by Jennifer Lee and Jeff Stockwell (based on the novel of the same name by Madeleine L’Engle). “A black girl asking a white boy 'Do you trust me?' and him saying 'I trust you' is an important image. A black girl flying through the universe is an important image. I hope these images are not lost on people. [Meg] is just a girl. She’s not a super hero. She’s not a Jedi. She’s just a girl in a plaid shirt. But she can change the world. Just like you can. As a director what was a really intense scene? When she sees her father again. Your not sure if he recognizes her and they come together and embrace and she says “daddy” and starts to cry. How do you direct Oprah? She’s, like, the most powerful person in the world! She is just a really nice woman. She listens and she asks, “What do I do?” and the things Mrs. Which says in the film aren’t that different than what Oprah says in real life! 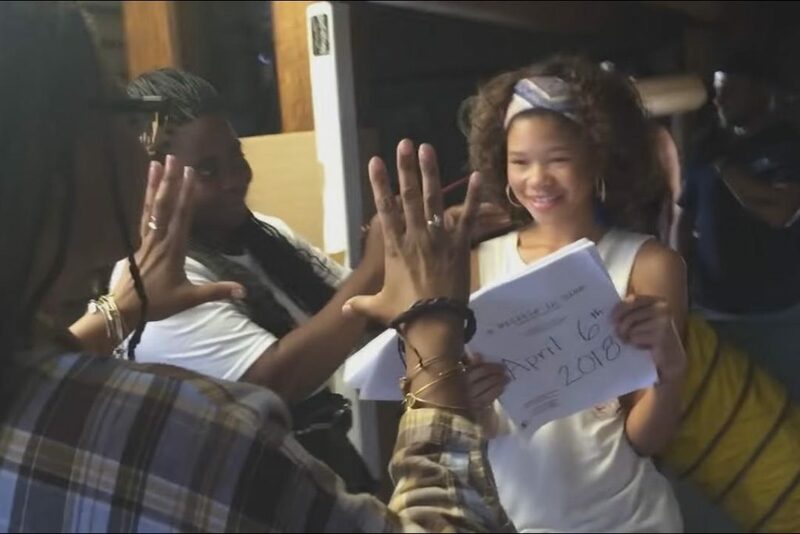 She loved working on the film, and she had a smile on every day. Yes! I’m the boss. A director’s job is a great job. I get to work with great friends and it’s really nice. It doesn’t quite carry over into my real life, but I get on set and I get to decide what happens. And it’s great because I get to collaborate with great artists. Whenever you create something with friends, it’s a good time. What’s the next movie you’re going to make? My next movie is filming this summer it’s about a famous case called The Central Park Five. So I’ll be in New York May through September filming that. If you could be one Mrs (Mrs Whatsit, Mrs Which or Mrs Who), which one would you be? Why did you want to make this film now? It’s a book I really love and it was made into a film a while ago and it just felt like it was time to do it again. I wanted to look at Meg in a new way and the Mrs. in a new way. I hope you enjoyed it! 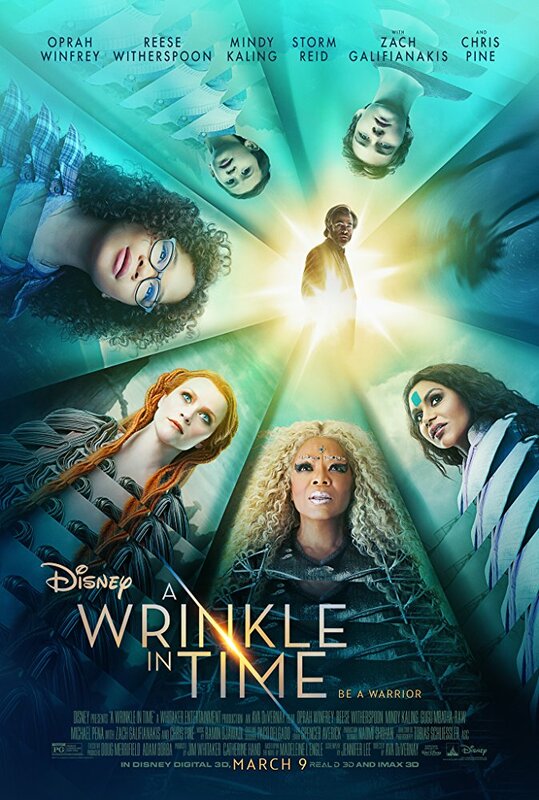 A Wrinkle in Time is playing at most theatres now, be sure to go check it out! You can read about intern Kathy Cutler’s sneak peak on the film here! Bottom Photo: Ava and Storm rehearsing.